Selecting thesis topic is a challenging task for a first time researcher naive in all research aspects. The topic must be unique; but at the same time have some background literature for doing the review. It must be new, while having some relevant data that can be used for analysis. So, getting the perfect topic is like walking a tightrope. 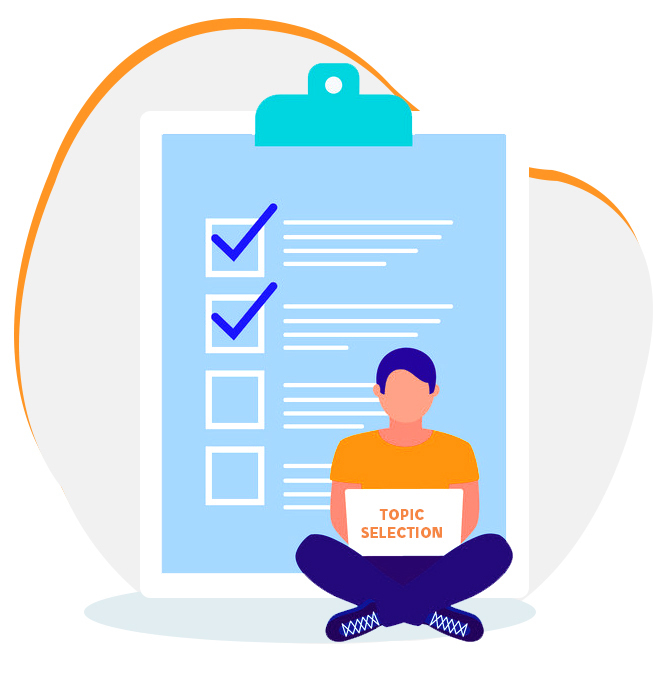 Our Topic Selection service gives adequate guidance, in a step by step manner, to help you make a wise selection. A seamless process that is planned in stages is our secret way to choosing the most suitable topic for your research. We suggest that you never hurry to decide the topic; take sufficient time and visualize the research journey. But in case you do have to rush as per nearing deadlines, we can expedite the process and dig out a brilliant topic for your research worthy of approval. We start with discussing your idea for research. A brainstorming session is done to gauge your interest level, and find out which aspects of the subject hold merit as your research topic. We study the journal papers that are noteworthy in your subject and assess which topics have been most talked about in recent years. This indicates target readers’ interests too. Based on journal paper trends, we shortlist 8-10 topics for thesis. These are further judged to match your field of interest and 3-4 topics are selected. We check whether the topics are viable or not. Does the study need astronomical data or too much investment? Are the resources available? All these questions are answered. Framing a research topic that is clear, well defined, and follows the guidelines is important to attract your readers and gain approval. We have worked on more than 4800 research documents and keep a track on the current trends and research gaps. Without proper guidance, you might end up picking an obsolete topic just because there are ample literature sources. We guarantee that the topics we choose for you will give a boost not only to your thesis, but also your academic career.